The exclusive Imperial Beast Forest! It turned out to be located behind the palace, on a steep mountain ridge. If the group of pampered Misses had been told to walk the entire way there, it probably would’ve taken them over a day of trudging to reach their destination. The view from above revealed that the Imperial Beast Forest was exceptionally large; it covered at least a thousand acres of land. Soon, all eight bird beasts touched down in a spacious clearing. Yun Wu leaped off the bird beast she was on and immediately concealed that instance of agility with her usual fragility. She looked around and saw that Crown Prince Zhou Tianyu and the other imperial princes were already standing off to one side, waiting for them. There were also quite a few military personnels present. Reasonably so, she concluded. They were probably there to ensure everyone’s safety during the hunting tournament. The rules of the tournament this time were actually very simple; the participants would be split into groups of two, and within the allotted time, they must hunt down magical beasts. Victory would be determined by either the number of beasts hunted or the ranks of the beasts hunted. When pairs were being assigned, the fact that Zhou Tianyu joined Yun Wu with Long San came as no surprise. He even threw in a guard. Zhou Tianyu’s meaning was clear—let the guard hunt beasts for the two good-for-nothings. In fact, everyone else was also secretly jeering and casting disdainful glances at Yun Wu and Long San. After all, nobody believed they would be able to accomplish anything on their own. If it weren’t for the presence of all the imperial princes, the unpleasant din of mockery might’ve already reached the skies. As though oblivious, she casually went to stand behind Long San. Inside, she was laughing coldly. A command was issued, and thereby, the imperial hunting tournament began! Without any hesitation at all, Yun Wu recalled the place she had marked in her mind when she was surveying the area from below and quickly headed there with the rest of her group in tow. This scene, in the eyes of the other Misses, gave off the impression of Yun Wu rushing to hunt down beasts and win the tournament, which in turn elicited another round of ridiculing stares. As soon as Yun Wu’s group entered the forest, a mocking laugh rang out from behind them. Another duo that happened to be heading in the same direction as Yun Wu’s group taunted and mocked as they approached. Long San’s expression was impossible to see, as his black veil covered it. Yun Wu’s eyes chilled, but she didn’t cease her movements and continued on into the forest. The two Misses didn’t plan on yielding. One of them, dressed in white robes, suddenly appeared before Yun Wu. Yun Wu came to a stop, lifted her eyes, and looked at the beautiful girl standing in front of her. Beautiful, yes, but the girl boasted an arrogant and barbaric temperament. “I don’t seem to recall having any distant relatives. Miss Li, if you wish to form connections with a ‘relative,’ I suggest you go to my father. I myself am not familiar with you,” Yun Wu sneered before walking past her. Anyone with eyes would be able to see that the girl was deliberately trying to make trouble for Yun Wu. Unfortunately, Yun Wu didn’t have the time nor interest to deal with her. The girl —Li Mei— immediately flared up at Yun Wu’s words. After all, although Li Mei’s father was the Deputy Minister of War, he was still a far cry from General Yun. Moreover, being so-called distant relatives was just a made-up lie. Little did she think the rumored weak and sickly Yun Wu would shoot back such a sharp retort. That, of course, enraged Li Mei. However, since the guard was standing next to Yun Wu, Li Mei couldn’t do anything serious. That didn’t mean she was willing to swallow her anger though. The coldness in Li Mei’s eyes dwindled, but her lips curved into an odd smile. “Let her go? Do you think that’s possible?” At that, her partner’s eyes lit up and filled with excitement. Amongst the ranks of Misses, Li Mei could be considered a highly talented one; therefore, she had long gotten used to being flattered and fawned on. Yun Wu’s attitude had undoubtedly angered Li Mei, so there was no way Li Mei would dismiss the offense. The Imperial Beast Forest was divided into three layers: outer, inner, and center. Magical beasts of the lower ranks occupied the outer layer, where even Rank One and Rank Two Practitioners would be able to manage. The inner and center layers, on the other hand, contained relatively high-ranked beasts and were not places for the ordinary. Hence, the hunting tournament took place mainly in the outer layer. Ever since Yun Wu entered the forest and ventured further and further in, only small magical beasts and rabbits crossed her path. They were promptly ignored, making it seem as though she was not hunting, but merely rushing somewhere. Yun Wu couldn’t help but wrinkle her brows. It seemed that the palace’s rear cliff was still deeper in. The reason she decided to partake in the imperial hunting tournament was not to win… but to infiltrate the palace and steal the Flower of a Hundred Lives. Indeed. Her purpose was to enter the imperial treasury. She had already prodded its general location from Yun Qi’s mouth. In any case, she could single-handedly win the tournament, but after learning that the Empress was the one working behind the scenes, Yun Wu knew that she could not expose her strength too soon. If she did, an incessant flow of attempts on her life would ensue. Before she could be considered genuinely strong, Yun Wu would not let her enemy know her cards. That would be the most foolish move to make, especially since the country’s Empress was her opponent. For that reason, Yun Wu had to advance slowly and entrench herself at every step, all for the sake of buying herself some more time. Alas, with Long San and the guard following her, it would be hard to take action. She would have to get rid of them, somehow. “Help…” She heard an alarming call for help. Li Mei’s partner ran at full speed toward them and grabbed onto the guard, who was standing behind Yun Wu. Timberwolves were Rank Two magical beasts, so there shouldn’t be any packs of them in the outer layer. “Roar…” Howls could be heard in the distance. The guard knit his brows together tightly. So there really was a wolf pack? Could it be due to a flaw in the protective barrier of the outer layer? The Miss’s panic, coupled with the howls, convinced him of the situation’s urgency. The two were good-for-nothings. If anything happened to them, he could just blame it on their own feebleness. Miss Li, however, was the Deputy Minister’s daughter. If anything happened to her, the guard would have to bear all the consequences. Without waiting for a response from Yun Wu and Long San, he turned and left with the girl. How could Yun Wu possibly not know what the guard was thinking? Her eyes flashed. One day, she would show the entire world what a real “good-for-nothing” looked like! Hardly had his voice faded away before his black-robed figure disappeared without a trace. Was he really a good-for-nothing? Yun Wu raised an eyebrow, but then she tucked the suspicion away in the back of her mind and lifted her feet, intent on forging deeper into the forest. “Yun Wu, where do you think you’re going?” Behind her, a cold voice drawled. Li Mei pulled a longsword from the side of her waist and swiftly arrived in front of Yun Wu, and then she braced the longsword against Yun Wu’s neck. “Good-for-nothing. Look at how arrogant you were just moments ago. Now that you’re the only one left, do you still dare make snide remarks? 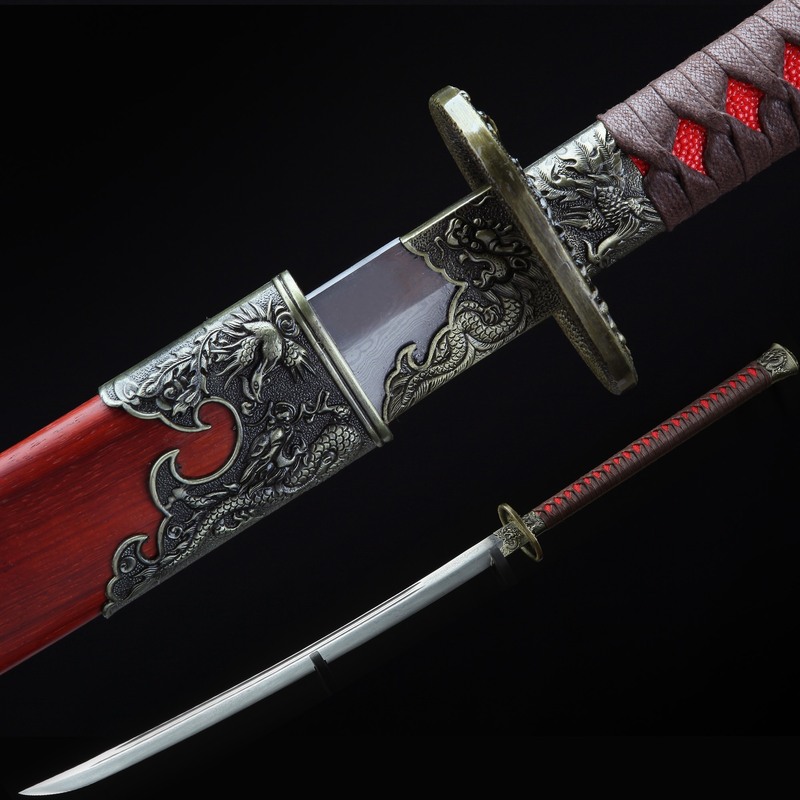 Be sensible—obediently kneel down and plead for my forgiveness, lest I accidentally sever your neck or slit open your little face with my sword…” Li Mei threatened darkly. Her beautiful features were distorted by an expression of hideous fury, and her charming eyes were doused with cruelty. Thanks to the fact that every team had left in different directions and that Yun Wu’s choice happened to be the most remote, there was no one else to be seen. Thus, Li Mei’s brutal nature was completely released. Yun Wu didn’t seem surprised by Li Mei’s appearance. As the matter of fact, some impatience flashed through Yun Wu’s eyes. Lifting her chin, she regarded Li Mei and the longsword coolly. “Move it away! And screw off.” Six words, spoken in a biting tone. As soon as Li Mei heard them, she felt her anger explode. A streak of cyan-colored battle spirit burst forth, and the oppressive force of a Rank Two Practitioner rushed to suppress Yun Wu. “You good-for-nothing, how dare you talk to me like that? Today, this miss will teach you a proper lesson!” Li Mei swung her longsword, which suddenly appeared to weigh a thousand kilograms, toward Yun Wu’s weak frame. A smug smile curved Li Mei’s lips. This time, she would definitely make Yun Wu kneel down and beg for mercy. However, in the next moment, the self-satisfied smile on her face froze. Thank you for chapter ????????? You’re one of my favorite translators; I love all of your works! Thank you so much for working on this novel and all of your other projects! Don’t tell me Yu Wu is force to reveal her strength to get rid of Li Mei. Sorry, found it. Thank you for the update! ??? ?